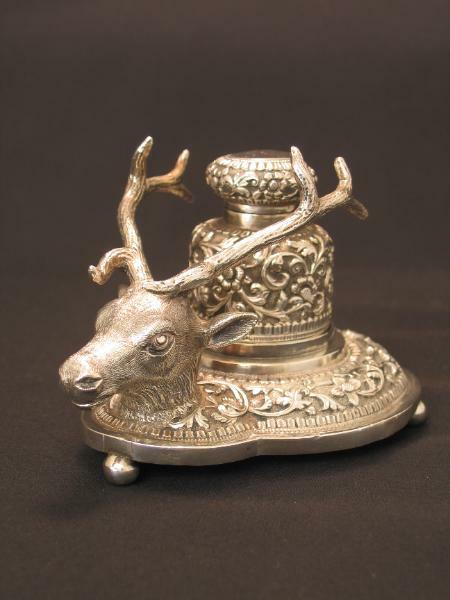 This splendid silver ink bottle and stand with an attached cast and chased head of a deer with naturalistically rendered antlers is of a form not before encountered or published in Cutch work. Both the bottle and base of the stand have been repoussed with scrolling foliage and flowers. 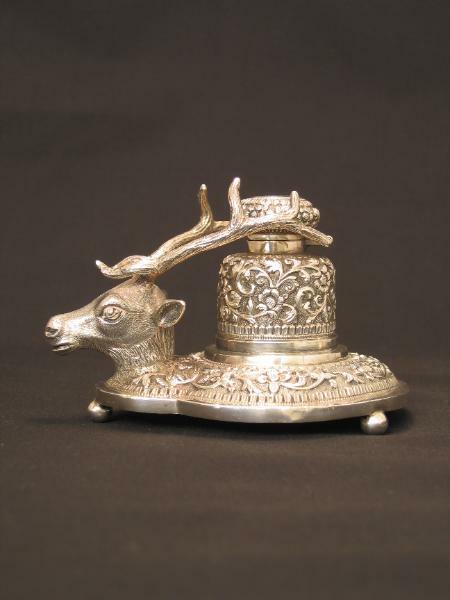 The bottle has a tight-fitting repoussed hinged lid and sits snugly in a raised niche on the stand; the stand having three silver ball feet. 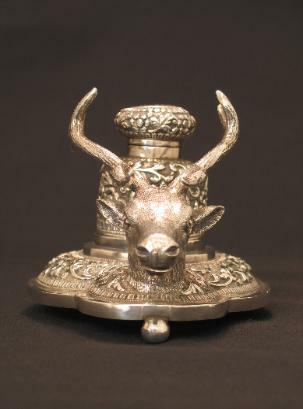 A remarkable example of the syncreatic nature of Indian colonial silverwork.